Throughout the last 10 years, we have worked alongside some incredibly inspiring people from all walks of life. 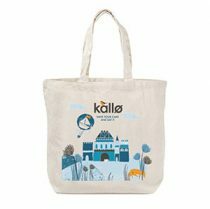 We’ve had the pleasure of getting to know their business or charity and the objectives behind their promotional products, be it growth of product knowledge, or quite simply brand awareness. We would like to share a few of our favourite success stories with you and hope you’ll feel energised within your own campaigns. 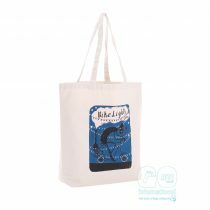 Warrens BakeryWe worked with warrens to create these bespoke promotional bags, offering the best possible material to make their beautiful artwork pop. 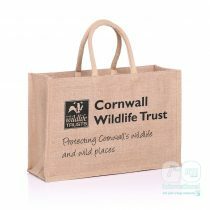 The Wildlife TrustsProtecting Cornwall's wildlife and wild places. 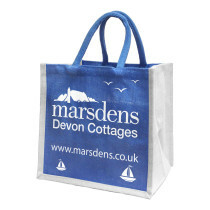 Marine Conservation SocietyThe number of plastic bags found have almost halved in a year. MacMillan Christmas FairOver the last 24 years the Fair has raised in excess of £524,000! 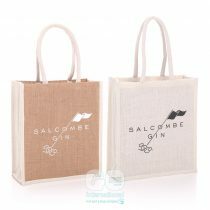 Salcombe GinIncreased order due to the jute bags popularity..
Fairfield SchoolI am, I can, I ought, I will. 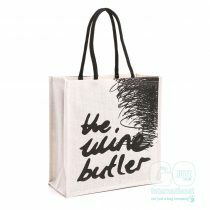 The Wine ButlerThe perfect package for our Organic Wine. 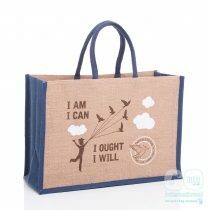 Soley OrganicsA jute bag to complement their business ethos. 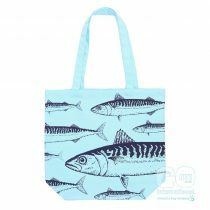 St Michael’s MountTwo new designs to celebrate the Coastal Garden Season. 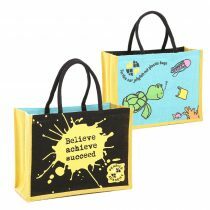 Budding Designers at Penrice Academy!Winners of bag design competition, raised awareness of Environment and Business. Wilshere Dacre Community AcademyNeed a fundraising idea? 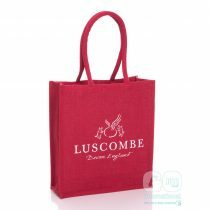 Sponsored jute bags... 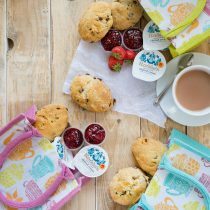 Brilliant for the community and great for the environment. 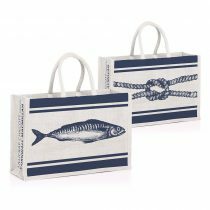 Rick SteinVast range of stunning jute bags designed and produced for Rick Stein. 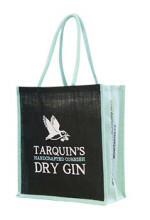 Tarquin’s Dry GinA bespoke bag large enough to hold their gift box of Tarquin's gin and two glasses. 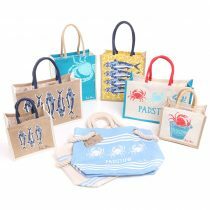 A Collection of Our LatestGet inspired by our latest jute bag designs from both our UK and overseas production services. 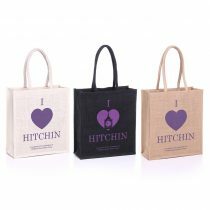 A Selection of Cotton BagsTake a look through our cotton bag case studies and see how cotton could enhance your business! 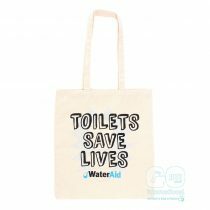 Charities Sponsorship and collaboration work brilliantly for any charity. Read how it works! 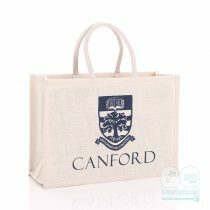 EducationBold, branded bags that will help promote your institution. Events & ShowsReduce your costs by involving local businesses and creating sponsorship opportunities. 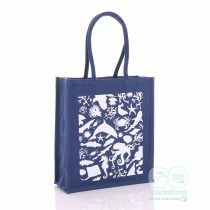 Food and DrinkCreate the perfect bag for your food and drink products. 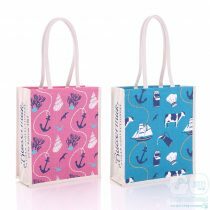 Holiday & AccommodationProvide your guests with the perfect gift or souvenir bag! 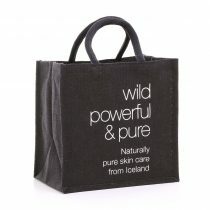 RetailBranded Bags benefit all retailers as the perfect marketing tool.